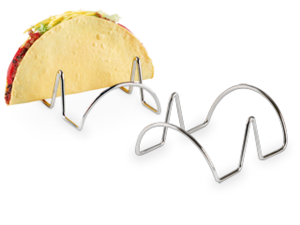 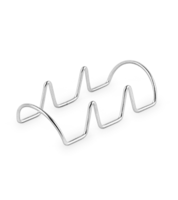 Keep tacos, pitas, and wraps neat and organized with our stainless steel taco holders. 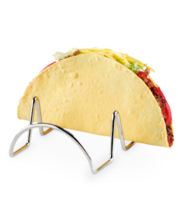 Holds one, two, or three tacos or pitas without making a mess of the remaining items on the plate. 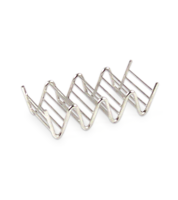 Perfect for fish tacos by the beach or on any Mexican menu. 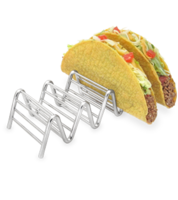 These metal holders will make your taco shells stand upright so you never have to worry about sauce, lettuce or cheese dripping out onto the customer's plate.